We can hardly imagine a Britain without Elizabeth II on the throne. It seems to be the job she was born for. And yet for much of her early life the young princess did not know the role that her future would hold. She was our accidental Queen. 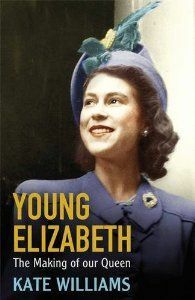 Kate Williams reveals how the 25-year-old young queen carved out a lasting role for herself amid the changes of the 20th century. Her monarchy would be a very different one to that of her parents and grandparents, and its continuing popularity in the 21st century owes much to the intelligence and elusive personality of this remarkable woman.